Total Construction Services has awarded 5 youth with a $500 sponsorship in the activity of their choice, whether it be a sport or a camp. This is our way of giving back to the community that has given us so much since we opened in 1987. Shannon Marley is 13 years old and going into the 8th grade at Glenwood Community Middle School. Shannon’s big interest is music. She is learning the piano, but is most interested in vocal performance. She is an alto in her middle school Honor Choir and was featured as a soloist in her school’s last choral concert. Shannon auditioned and was selected for a place in UNO’s Middle School Honor Choir with students from all over Nebraska and Southwest Iowa. “This was a big achievement for her and a lot of time, effort, and practice went into getting her ready for it,” Shannon’s father John says. Shannon would like to take voice lessons to further her talent, and this is what the sponsorship funds would go toward. 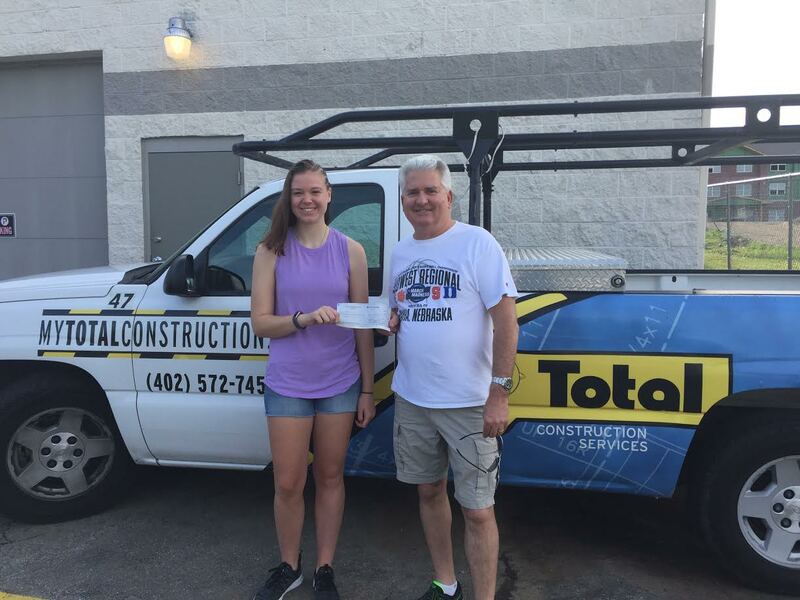 Total Construction Services has awarded 5 youth in Nebraska and the surrounding areas with a $500 sponsorship in the activity of their choice, whether it be a sport or a camp. This is our way of giving back to the community that has given us so much since we opened in 1987. At the age of 12 Sierran Nutter decided to give her life to Christ. 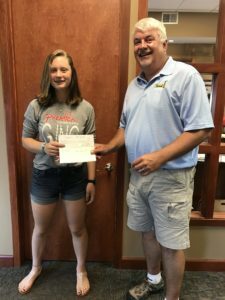 The following summer she went on her first mission trip with other members of her youth group at Capital City Christian Church in Lincoln. Following the devastating storms that hit Joplin, Missouri the kids did as much as they could in four days to help. The helped with laundry for those who had no resourced to do it themselves anymore and helped sort donations of personal care items and then distributed them. Since then she has continued to grow in her faith. She has attended camps in Colorado, Indiana and Nebraska. She helped pay her way to many of these by working at the fireworks stand at her church. She has recently signed up for a trip to Table in the Wilderness in Centennial, Wyoming where she will share the gospel and fellowship with other youth. This will likely be her last ‘church camp’ as she just graduated Norris High School, but she is looking for other missions opportunities. She plans to attend college at Wayne State in the fall majoring in Pre-Physical Therapy. There is a thriving student ministry there and she is looking forward to joining. 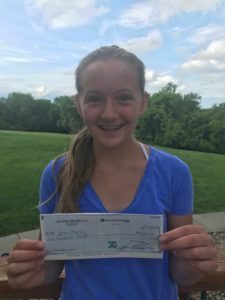 The sponsorship will go towards her camp and any other mission trips she is looking to do this summer. Sierran is just one of the many amazing youth that Total Construction is sponsoring. Laynee McAlpin is going into her sophomore year at Millard West High School. 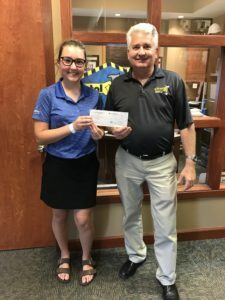 Last year she started her golf career as a freshman on the Millward West golf team. She was the only freshman to medal at a tournament this past season, which is a great accomplishment. The sponsorship is going to help her pay for private lessons and tournaments this summer to make sure she is ready for the season in the fall. Daniel Holm is one of the sponsored children. 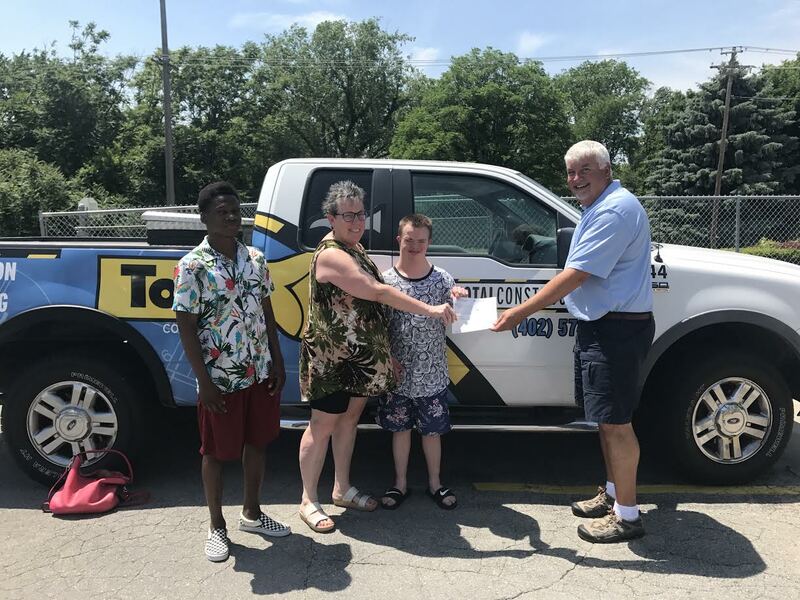 Daniel is 19 years old and has Down syndrome and a hearing impairment and has attended Camp Munroe, a recreational program that is offered by the Munroe Meyer Institute at the UNMC campus, since he was 3 years old. Camp Munroe is for individuals with developmental disabilities ages 3-21. This program is the only one in the city of Omaha that offers recreational opportunities with trained staff and volunteers along with their typical peers. The sponsorship money will go to pay for Daniel’s attendance at Camp Munroe.